Finn and the Swirly Spin Slot a five reel video slot provided by Net Entertainment. Slots theme is magic land of Irish leprechaun. Green fields with rainbow and leprechaun names Finn playing flute will provide you with calm atmosphere. Finn and the Swirly have pretty uncommon stone background reel setup with symbols that move in using maze. 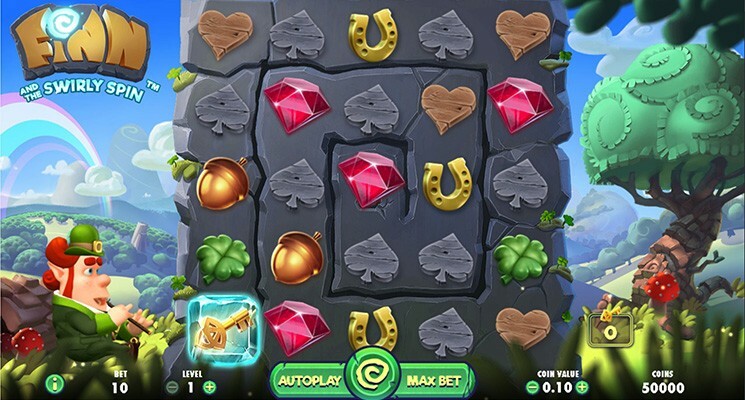 Players can find six pay symbols on this slot, excluding the Wild symbol, with spades, heart, clover, horseshoe, hazelnut and a red gem. Before investing real money players can try Finn and the Swirly Spin Slot for free, or visit any NetEnt casino such as: Royal Panda Casino, Sapphire Room Casino, Chomp Casino and others to play with real money and win. Like in many other slots you can not start playing without placing any bets. “Coin Value” button as name suggests is for setting value of the coin and denominations varies from 0.1 to 2. Using “Level” button players can choose amount of coin per line. To start game with already maximum bet level just click “Max Bet”. “Autoplay” will give you an option to select number of the spins and game will play automatically, while “Spin” starts the game. Video slot comes with two main features, free spins and “random features”. There are four different free spins types such as: The Star Bar, Lava Lair, Lucky Mug and Golden Pot. Free spins will trigger when locked key symbol makes it to the center of the swirl on one spin and each bonus spin feature needs specific amount of keys to be open for selection. Random features are a combo of four different bonus elements. Starfall Wilds, Dragon Destiny, Irish Luck and Magic Transform can be activated once all symbols have come to rest on a spin. 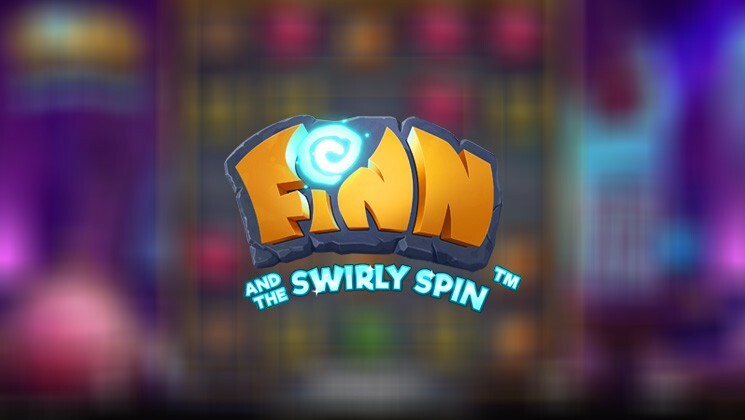 Finn and the Swirly Spin Slot is a great video slot by NetEnt created to serve all slot enthusiasts and we believe it meets the world class standards for online slots.